New Health Outlook | Thoughts from the FaceBook Page... Jan 15 2019. Hi everybody, how are your new year’s resolutions going? Its the second full week of January and statistically you will either be smashing it and progressing nicely with your new year’s resolutions or, and sadly this is more likely, you will be flagging or have given up already. But there is no need to get down and give up on your goals just try approaching them from a different angle. 2 It must be easy so that you will act on the new habit every day for the first week. 3 It must be a small action. 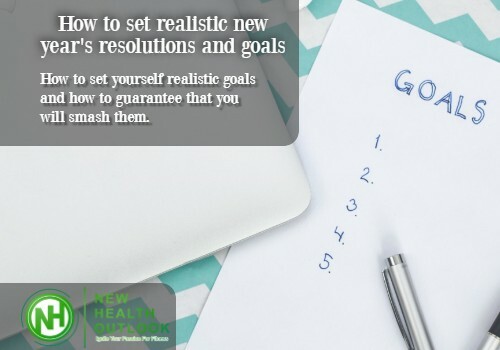 Find out more in the link below and remember, New Year’s Resolutions may be a good way to motivate your self for change but it is never too late to set a new goal. Next Post: Thoughts from the FaceBook Page… Jan 20 2019.